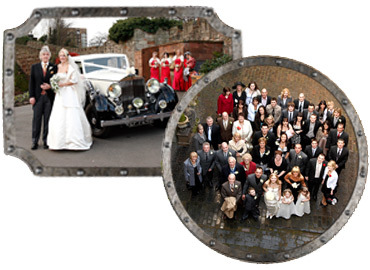 Unfortunately Tamworth Castle does not have its own designated car park for wedding parties to use. However there are a number of car parks in Tamworth town centre that are close to the Castle. However the wedding car can remain at the top of the Castle drive for the duration of the wedding and any guests who have mobility impairments can be dropped off at the top of the drive, but the car must then be parked in a designated car park. Ankerside car park: £8 for 24hrs. Approximately five to ten minutes walk through Ankerside shopping centre. *Please be aware these are not recommendations from Tamworth Castle. If you would like further information for receptions or accommodation, Tamworth Tourist Information Centre will be able to provide you with information.